Suffolk Federal is proud to announce the promotion of Eva Casale to Senior Vice President of Information Technology located at the Medford branch. In this position, Casale is responsible for the oversight of all aspects of the Information Technology department including management, implementation, cyber security testing and review, usability of technology and computer systems and system information security architecture. She is responsible for analyzing these technologies in order to determine the best options that will benefit the organization’s membership in support of the credit union’s mission and goals, while providing development opportunity to her internal team. Casale joined Suffolk Federal in 2015 as Vice President of Information Technology. 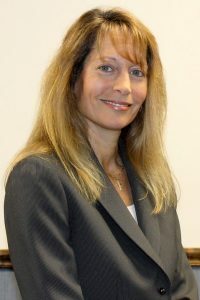 Prior to joining Suffolk Federal, Casale previously held positions such as Chief Information Officer at Oceanside Christopher Federal Credit Union in Oceanside, as well as Assistant Director of Information Technology for the Diocese of Rockville Centre. Casale earned a Bachelor of Science degree from Fashion Institute of Technology in Marketing with a minor in Economics. She previously served as President of the Board of the Diocesan Information Systems Conference. Casale is an extreme distance ultra-marathon runner, who has completed 62 marathons, 49 ultra-marathons and has currently raised over $300K for several charities. In 2015, Casale created TEAM EVA (Every Veteran Appreciated) to support, raise awareness and honor veterans who have made the ultimate sacrifice defending our country by running 7 marathons (184 miles) in 7 days. Casale resides in Glen Cove.